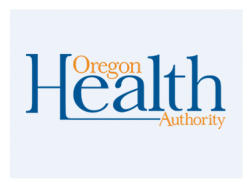 The Oregon Health Authority (OHA), Public Health Division (PHD), Maternal and Child Health (MCH) Section in Portland, OR is recruiting for a Community Systems Manager to direct, coordinate, supervise and provide leadership under the direction of the MCH Section Manager within the Center for Prevention and Health Promotion. This position assures accountability and performance by leading and guiding program activities through federal regulations, state rules and policies, and fiscal responsibility. The Maternal and Child Health section works to address health promotion issues across the lifespan of individuals and families. We believe preconception, pregnancy and early childhood experiences create and influence a path for lifelong wellness. As Community Systems Manager you will develop program strategies, standards, and design as well as improve program delivery systems and data collection systems statewide and through local health departments. You will develop program rules and policies, long and short range goals, and plans. In addition, you will oversee development of grant applications for funding to support programs, program evaluation and budget preparation. In this role, you will collaborate with leadership and work closely with federal/state/community partners. the Center Mission, Division Core Functions and the State Health Improvement Plan. Do you have experience in public health? Have you managed a staff of professionals? Are you passionate about maternal and child health? Then we want to connect with you! We offer full medical, vision and dental benefits with paid sick leave, vacation, personal leave and 10 paid holidays per year. If you are an experienced program manager, don't delay, apply today! Bachelor's degree and a minimum of five years of management experience or equivalent lead work experience in leading teams, developing policy and providing programmatic oversight. Experience in public health is required; a master's degree in public health is strongly preferred. Preference will be given for a master's degree in Nursing and five years (within the last ten years) of supervisory management or nursing experience. Home visiting experience within a maternal and child health program is preferred. Excellent written and oral communication skills and facilitation skills. Experience in policy development and program implementation on the county or state level is desired. Currently licensed in Oregon as a Registered Nurse is preferred. Experience working with partners across a variety of disciplines. Experience in consensus-building and strategic planning. Experience in policy development and program implementation on the community, county and state level. Experience working on a team. Experience in local systems development along the prenatal to five continuums. Requires some in-state and out-of-state travel with overnight stays.